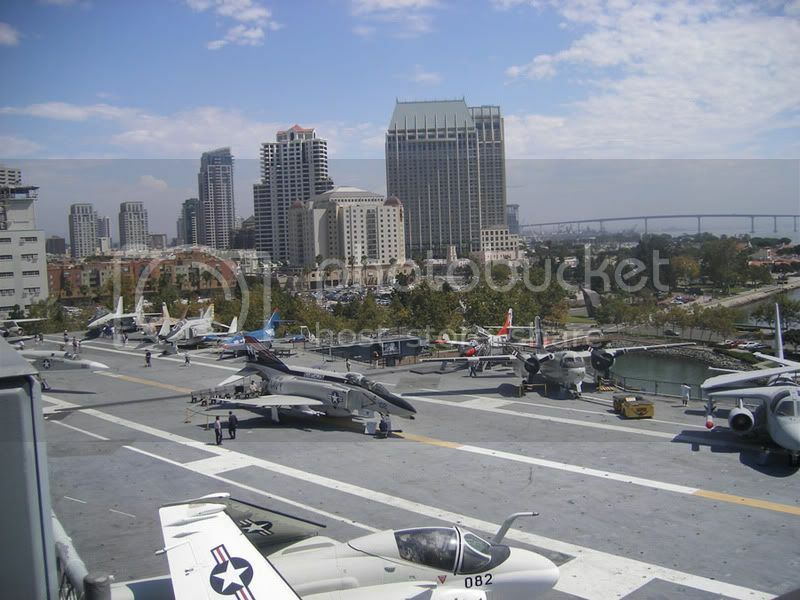 Besides the aircraft, the carrier itself is a great museum piece. Thankfully it has been kept in original condition and many areas are open for tour. Defiantly worth a visit if you are in the area. Due in January: One 1/48 and two 1/72 Airfix Hurricanes for the UAMF group build. Due in February: A Hasegawa Buffalo for the Jon, Mike, JV, and Jim Brewster Challenge. Due in March: Eduard Fokker Dr. 1 and Esci Camel for the DSS WW1 group build. 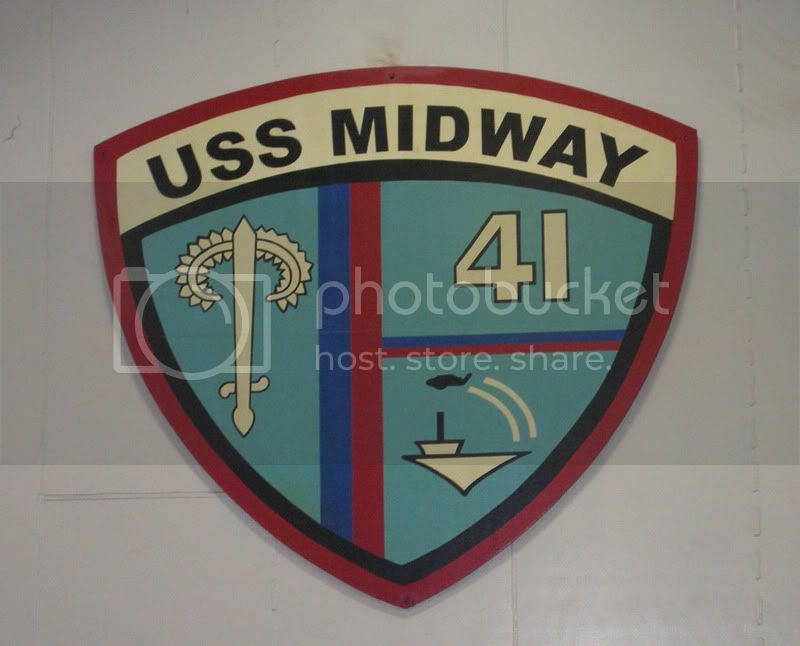 Due in May/June: Academy 1/72 TBF for the DSS Midway group build (unstarted). JoHan Zero - Anti-AMS unpainted. Just needs a few decals. Looks terrible. Airfix Tiger Moth - Anti-AMS unpainted. Just need to add the top wing and the landing gear. Frog Hunter - Just need to add some decals, flat coat, and add some small parts. Matchbox Tempest - Just needs a flat coat and some small parts added. Academy XP-40 - Just need to spray the fabric surfaces dull silver, add the decals and some small parts. Airfix Spitfire Vc - Needs more decals and I have to make up some serial numbers. Need to add the small parts as well. 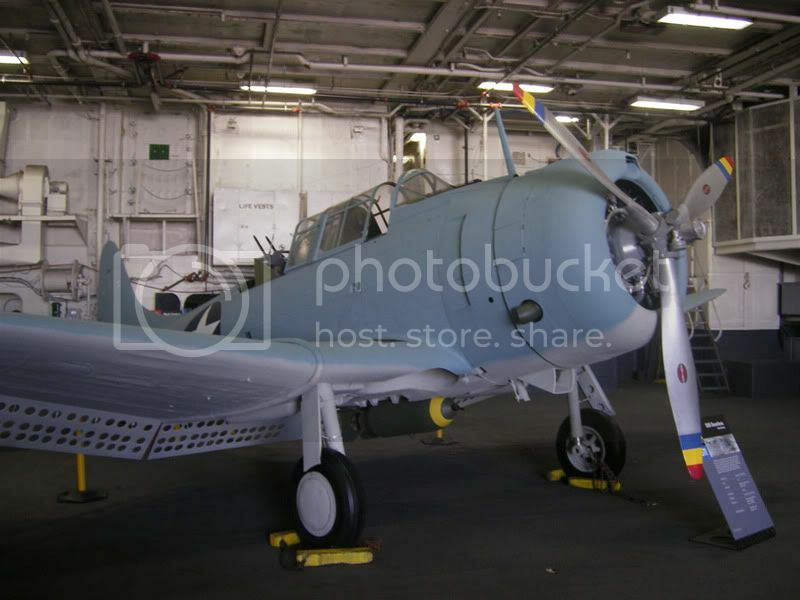 Academy Kittyhawk - It is painted, but it probably needs some touch up. Airfix Mosquito - Needs filling and sanding. Need to finish the wings and nacelles. Airfix DHC-1 - Needs filling and sanding. 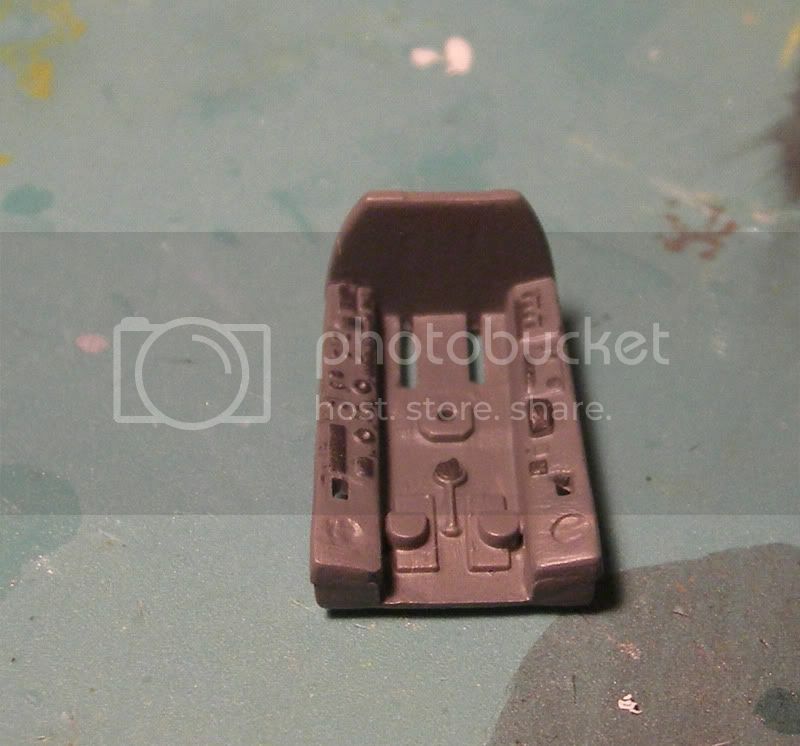 Heller Bf-108 - Needs filling and sanding. Give Me My Beer Fridge Or Give Me Death! David Knights posted this blog entry the other day and linked to this Fox News story about Canadians and their beer fridges. Sadly, as is usual with Fox News, this is a hyperbolic and poorly research news piece. If Fox had taken the time to do a little research, they would have found out that the right to a beer fridge has long been a protected Canadian constitutional right. In fact it may be the most sacred of the Canadian Bill of Rights. "Beer fridges, being necessary to the well-being of the Federation, the right of the people to keep and cool beer in a second fridge, shall not be infringed." Canadian Patriot, Prime Minister, and noted alcoholic Sir John A. McDonald was quoted soon after the ratification of the Canadian Constitution as stating: "We didn’t start this country so that the government could take away our beer fridges. We need to keep our beer cold and have adequate provisions to keep our family fed. The only logical option is one fridge for the food and one for the beer." Sadly, the wording of the Second Amendment has been called into question over the years. Noted Canadian Constitutional scholar Gordy Tremblay of the University of Assiniboia has written that the Second Amendment actually means that only the Canadian government can maintain beer fridges and that it is not a personal right. This position has always been disputed by most Canadians, including Canada’s two other Constitutional scholars, former Prime Minister John Diefenbaker, Celine Dion, and actor Rick Moranis. Mr. Moranis, head of the NBFA (National Beer Fridge Association), was once quoted as stating "Give me my Beer Fridge or give me death, eh!" Some municipalities have gone so far as requiring permits for the beer fridges and a few even attempted to legislate the necessary brands of beer that the fridges must contain. Often, these regulation were met with protests and demonstrations, the most famous being the Chicoutimi Beer Fridge Riot of 1972. Thankfully, most Canadians have protected their rights by using and stocking their beer fridges as they saw fit. Luckily in 2006, the Canadian Supreme Court ruled and put this matter to rest. In the case of the City of Yorkville v. Moosehead, Labatt, and Molson 7 Can 148 (2006). The Court found that the second amendment shall be read as a right of the people and not a right of the government. Therefore, the City of Yorkville had violated this right when it attempted to ban all beer fridges. Once and for all this important Canadian right has been legally protected and Canadians are safe from the intrusive hand of the government trying to filch an ice cold stubby from their beer fridge. 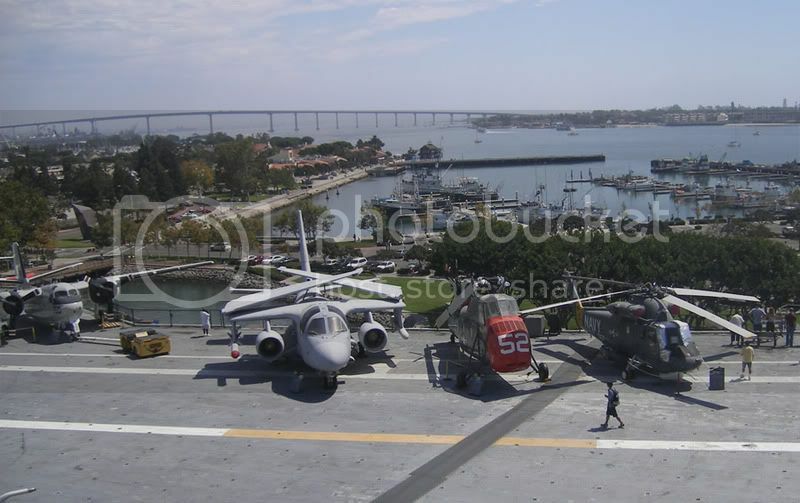 My friend and fellow DSSers John Vitkus sent me this nice summary of the Buffalo and the 1/72 scale kits. I thought it deserved a wider audience, so John agreed to let me post it here. Here is a mini-dissertation on Buffaloes. Boy, will you be sorry you asked! First off, there are three different variants. 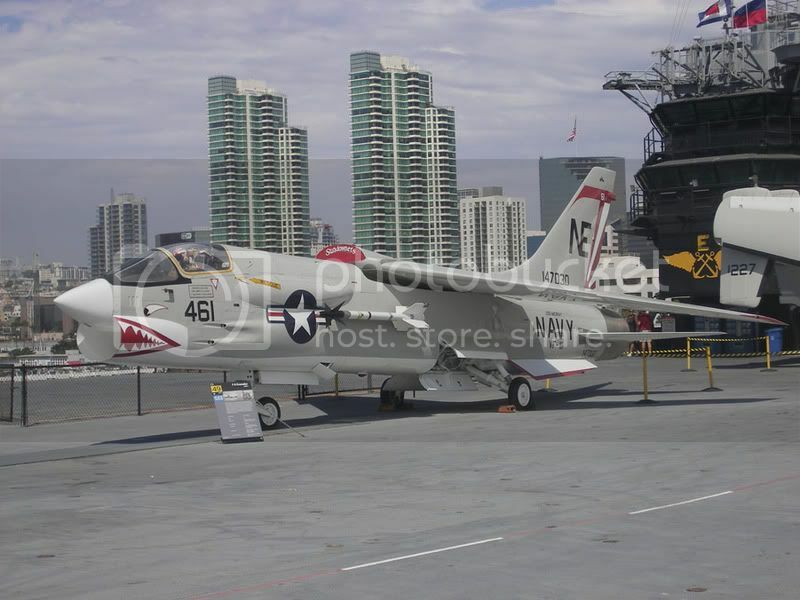 In USN parlance, they are F2A-1, F2A-2, and F2A-3. For foreign orders, these were designated B.239, B.339, B.439, respectively. The final letter on foreign planes (e.g., B.339D or B.339E) stood for the recipient, in this case "Dutch" or "English," respectively. Second, these are different variants with different fuselages between the firewall and the cockpit. The F2A-1/B.239 is the shortest and has a unique arrangement of cooling slots; the F2A-2/B.339 was in the middle, with the F2A-3/B.439 being the longest. I believe the latter two shared the same basic cooling slot arrangement, but the longer plane added about 6 to 9 inches between the firewall and the cooling slots. Third, which variant you make depends on who used it. a. The Finns used only B.239s, and the Hasegawa kits with Finnish markings are correct for the early (and in Pappy Boyington's opinion, the best) Buffalo. This is the only kit of an F2A-1/B.239 in divine scale. Small spinner is correct for F2A-1/B.239. b. The Marines at Midway used the long (and heavy) F2A-3. The recent Special Hobby kit of the a Midway Buffalo is the only DS kit that correctly depicts the last (and in most opinions, the worst) Buffalo. I believe the only other user of the F2A-3/B.439 was the RAAF (US surplus). 1. B.339s had blunter prop spinners (Matchbox is a good size; I'm not sure about the new Special Hobby RAF Buffalo I. I believe the spinners in the Airfix and Hasegawa kits are pointier and correct for the USN F2A-2s. 2. B.339s did not have tail hooks, so they had a different tail cone which was slightly longer. Ditto re: the kits; Matchbox good for B.339; Airfix and Hasegawa correct for F2A-2; don't know about the Special Hobby B.339E. 3. The USN F2A-2s (and all USN F2As, for that matter) had a cylinder-shaped container behind the pilot that contained a life raft. The foreign B.339s did not have this. 4. USN F2A-2s used cuffed props; most foreign ones were not cuffed, but some were. Hasegawa provides both; Matchbox and Airfix provide only the cuffed prop. 5. USN tail wheels were small, solid rubber; land-based Buffaloes (including foreign planes, naturally) used larger, pneumatic tail wheels. Matchbox, provides larger; Airfix and Hasegawa smaller. 6. USN F2A-2s had telescopic gunsights; foreign B.339s had reflector sights (or sometimes just a ring/bead sight. Can you make the Hasegawa kit into a USN or USMC bird without modifications? If it comes with Finnish markings, NO. This is an early B.239/ F2A-1. I don't see any pictures of USN F2A-1s in camo, other than the unusual prewar Barclay camo schemes. 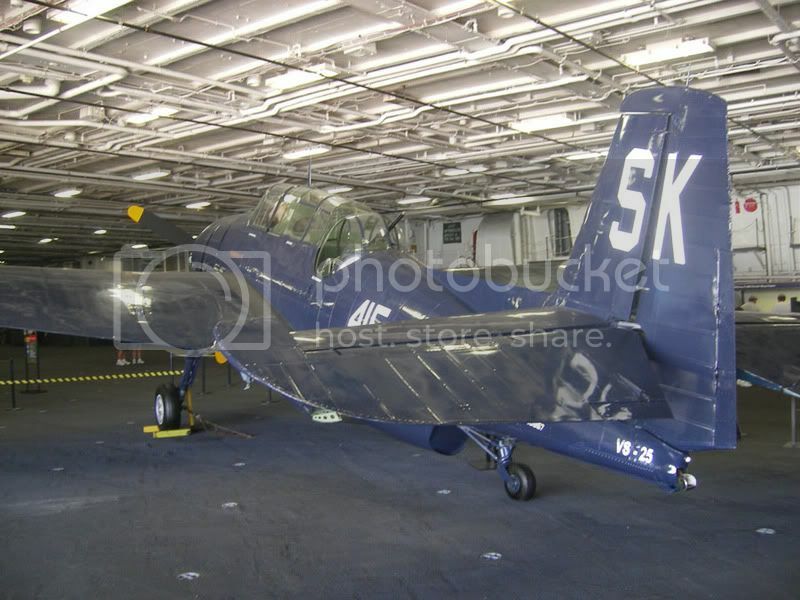 If it comes with USN markings, YES. There are plenty of schemes in Blue-grey/light grey and overall light gray for the F2A-2. Happy Thanksgiving to all in the U.S. (And to all the Canadians...a little late...) To celebrate Turkey day here are a few turkeys. 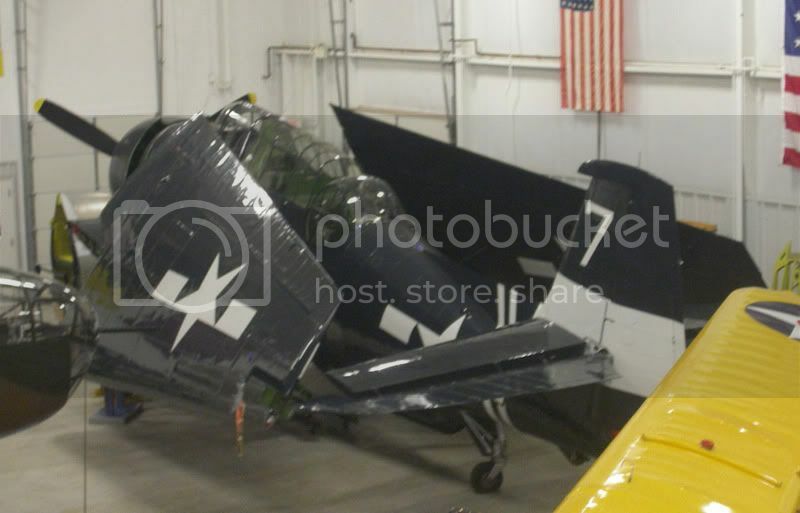 Tri-State Warbird Museum's TBM-3E BuNo. 53420/N420GP. 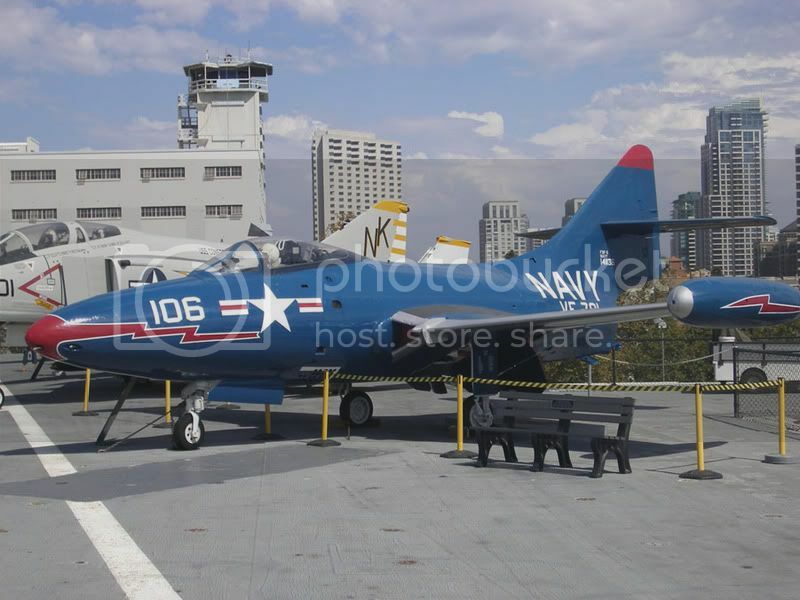 The USS Midway Museum's TBM-3E BuNo. 85957. 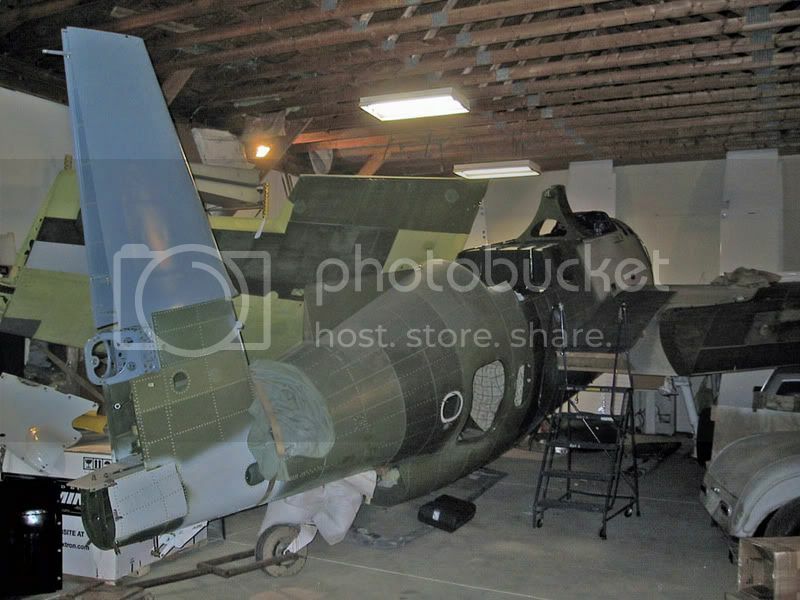 Two shots of Charlie Cartledge's TBM-3E restoration project BuNo. 91436/N436GM. Well I opened my big mouth and now I'm moderating a Airfix Hawker Hurricane Group build on the Unofficial Airfix Modelers Forum. Since I'm the moderator, I decided I needed to make a good showing and build more then one Hurricane. Being as the group build runs from November 16, 2007 to January 31, 2008, I needed to keep it simple. All the other projects have been shelved for a little while and it is full speed ahead on Hurricanes. 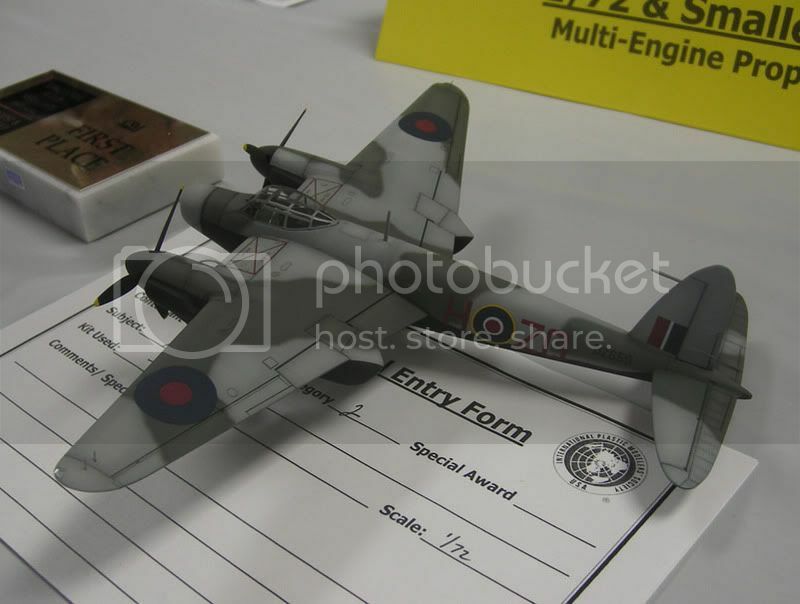 Any of you modelers out there, grab an Airfix Hurricane and join in! Seriously, it is interesting you see modeling videos on YouTube. Outside of the old TV show Adventures in Scale Modeling and the odd DVD, modeling hasn't really cracked into the video age. When most people think about VMF-214 AKA "The Black Sheep," they remember either Pappy Boyington or the fictional characters from the 1970s TV show. But there is a member of VMF-214 who not only was an ace, but whose life was probably more interesting then the TV show. His name was Chris Magee. 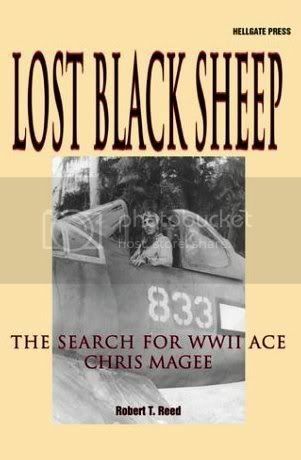 Robert T. Reed's book Black Sheep - The Search of WWII Ace Chris Magee is not only a biography of Mr. Magee but also a search for his roots by Mr. Reed. The first section of the book is pretty much straight biography. Chris Magee grew up in Chicago and as a young man tried a few ways to get to Europe to become a fighter pilot in World War II. He failed at first, but did end up training in Canada with the RCAF. After graduating with his wings from the RCAF he joined the United States Marine Corps and became the second highest scoring ace with the Black Sheep. 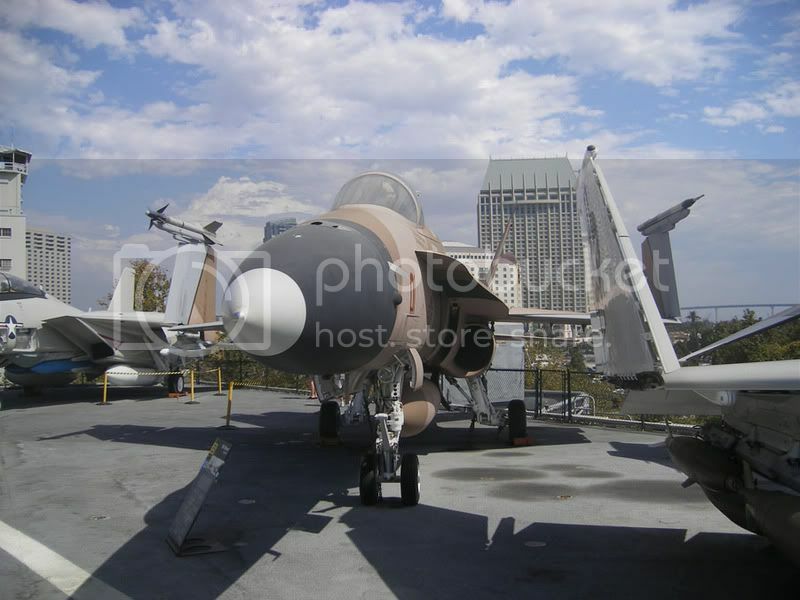 Mr. Magee was not the typical fighter pilot as seen on TV and in the movies. He was a deeply intellectual man, who was a voracious reader, and a great writer. His letters to various parties included in the book are well written, observant, and quite amusing at times. Post-war Mr. Magee continued flying as a mercenary with Israel, was a bank robber, and spent some time as a guest of the Federal Government. Then he dropped off the face of the earth. The second section of the book is more personal for Mr. Reed. He discovered that his father was Mr. Magee, and not the man he grew up with as his Dad. He attempted to track Mr. Magee down and establish a relationship. What does an ace, robber, and mercenary do in old age? Apparently, settle down to a life in a small apartment outside of Chicago to continue his intellectual quests in books. The story continues as Mr. Reed becomes acquainted with his father and reintroduces Chris to both his fellow Black Sheep and Mr. Magee's remaining estranged family members. This is quite and interesting and enjoyable book. Sadly it gives only a little insight into what made Mr. Magee tick, but those insights show he was far from the stereotypical fighter pilot and certainly no two dimensional underscripted TV character. Subject: Bristol Beaufighter X NV427 operated by 404 RCAF Squadron as EO-L. 404 Squadron was the only RCAF Beaufighter squadron in Costal Command. They specialized in RP (rocket projectile) attacks against surface shipping. Scheme is Extra Dark Sea Grey over Sky. My subject is the first in this flight. Kit: Hasegawa 1/72 Beaufighter VI. Beautiful molding and panel lines. Great engines. Almost no interior detail. Many inserts...hope they fit! Intent: Marky Mark and his Tamigawaddie Bunch are always telling me to stop building the crappy old kits and build a nice newer kit. Since I'm burned out on WW2 single engine props, I thought the Hasegawa Beaufighter would fit both prongs and be a nice change. I'm going to do this one pretty much out of the box, but I'm going to try my best and not cut any corners. No Anti-AMS in this case. I'm also going to incorporate the new painting and wash techniques that Marky Mark has been instructing me in. Engines: The kit has two piece engines with separate cylinders banks and crank cases. The crank cases were brush painted Gunze Metallic Black. The cylinders banks were brush painted with Humbrol Metalcoat Polished Steel. After they were dry they were given a quick polish with a Q-Tip. They were then washed with a Naptha lighter fluid/Lamp Black/Burnt Umber oil mix. Engines done! Airfix Spitfire Vb - Nice shape, but raised panel lines and minimal detail. There are odd raised panels on the wing roots and the aileron scribing on the top of the wing is wrong. The kit only includes the later "large" Rotol prop and spinner. Revell AG Spitfire Vb - Very nice recessed scribing, no gull wing, and the fuselage shape is off (the fuselage is a little short and the spine and fin have shape issues.) Nice detail, but some of the cockpit detail is spurious. Many early version of the kit are missing the scribed front end on the crew door. Clipped or normal wing tip options, but only the Rotol prop. The oil cooler is of Mk. I style and the radiator has shape issues as well. Italeri Spitfire Vb - Maybe the best Spitfire Vb? Scribed lines. Both styles of prop and spinner, many canopy options, and Aboukir and Vokes filters, and the standard carburetor intake. The kit is missing the wing root fairings and some radio access doors. The fit can be "interesting." The cockpit detail is week, but much much better then the Airfix kit. Tamiya Spitfire Vb - Nice recessed scribing and great detail. Poor canopies. Only the later large Rotol prop and spinner are included, though the Mk. I kit has a nice DeHavilland prop and spinner. Choice of clipped, standard, or field clipped wing tips, Vokes, Aboukir filters, or the standard carburetor intake. The rear fuselage shape is off, and the cowl bumps are too pronounced. The wing is too long in chord and fails to capture the Spitfire's beautiful elliptic wing. Way too expensive. Many love this kit because of the scribed lines and good detail, but I think the poor shape disqualifies it from serious contention. Airfix Spitfire Vc - The Vb kit with a new deeply scribed wing and two new (identical) canopies. They fixed the odd raised panels at the wing root and scribed aileron lines, but the whole wing is way way too thick. Not to mention, it looks a little odd to see a scribed wing and a raised fuselage. The wing blisters are ok, maybe a little too pronounced. A Vokes filter is included. A missed opportunity by Airfix. Aeroclub do a new replacement wing for this kit which is nice and cheap. Right now the Airfix Spitfire Vc kit with an Aeroclub replacement wing is your best option for a Spitfire Vc. HobbyBoss Spitfire Vb - The newest contender to the throne. Easy build style. Terrible canopy and no landing gear doors. The prop is awful. The scribed detail is nice for the most part, and shape is pretty good. Spurious cockpit detail molded into the fuselage and a few odd details such as raised bumps under the wings. Probably a good option if you are looking for an easy build, but you need to replace the canopy and prop and add landing gear doors. One issue of the kit has the standard carburetor intake, one has the Vokes filter, and one the Abourki filter. PM/Frog Spitfire Vb/Vc - The less said about this kit the better, it is almost an insult to the Spitfire. For a Vc, I would use the Airfix kit with a replacement Aeroclub wing. Again this will take some work and detail, but it will have a excellent shape when done. There has yet to be a Spitfire Va kit, but you could combine the Airfix Mk. 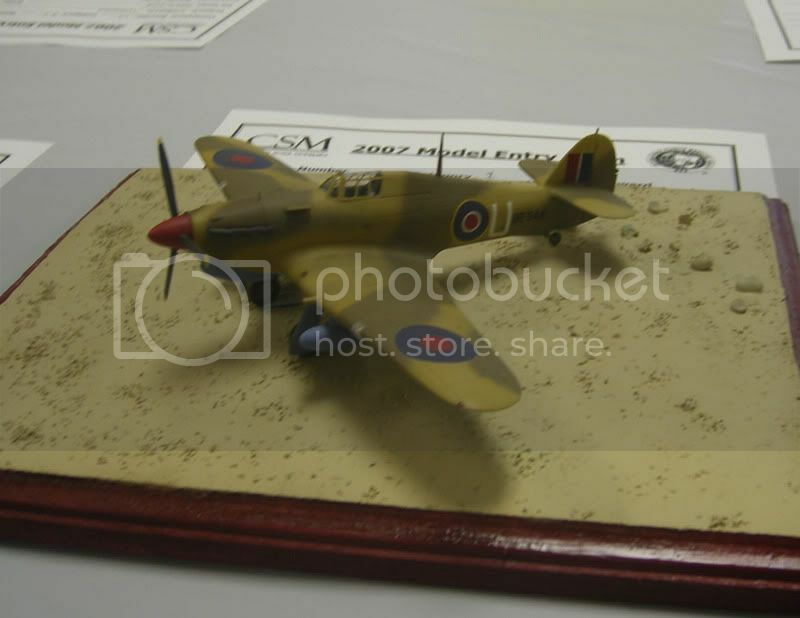 I and the Airfix Vb and get a pretty nice Spitfire Va.
On Saturday, Mark Smith and I took a four hour drive south to attend the 2007 installment of the Cincinnati Scale Modelers' Contest and Swap Meet. Neither of us had attended the CSM show, so we weren't sure what to expect. Mark did very well with three Firsts, and Best Aircraft in Show with his Eduard 1/72 DH.2. Even more of a shock was that I got a Third for the infamous Maplebolt. I picked up a Unicraft resin Avro Canada 606A which shall be an interesting "what if" project...someday. It was also good to meet up with Kentucky attorney, modeler, and blogger David Knights. So thumbs up to a good show back in the old neighborhood. Even though it was a long drive, I'll try to make it back next year. 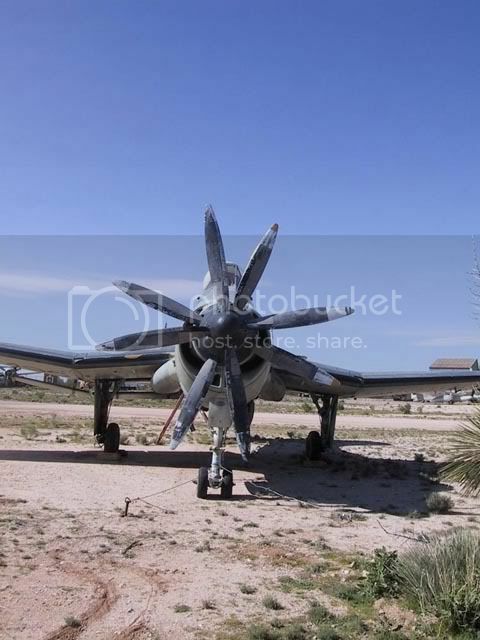 A Gannet in the Desert? 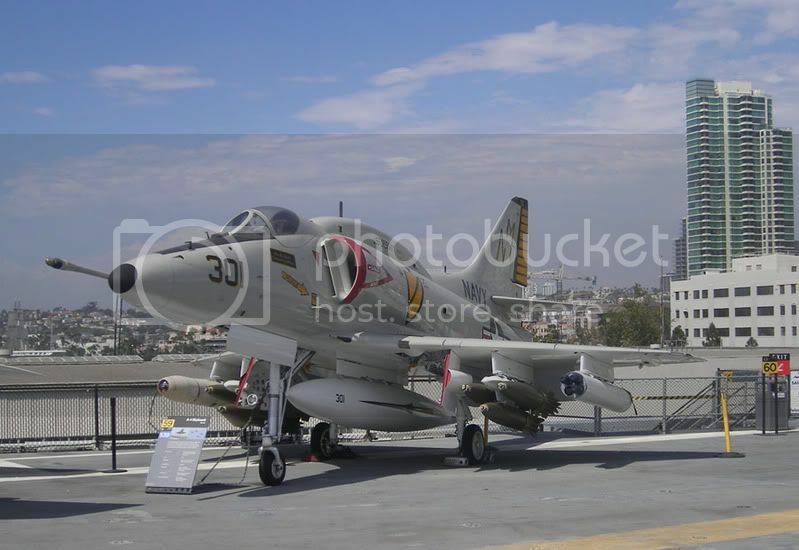 While not an anti-submarine warfare version of the Gannet like the Trumpeter kit, there is a Gannet on display in the United States. 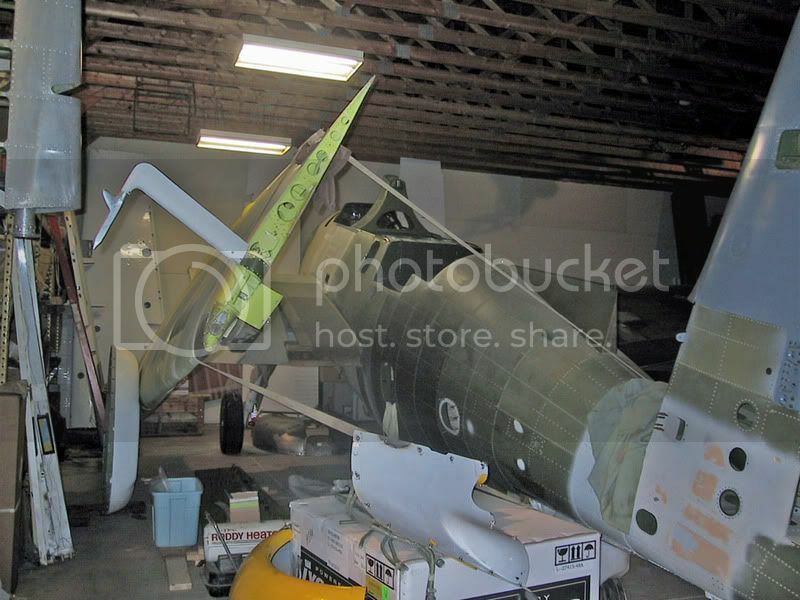 The attached photos are of the Gannet AEW.3 XL482 in storage for future display at the Pima Air Museum. 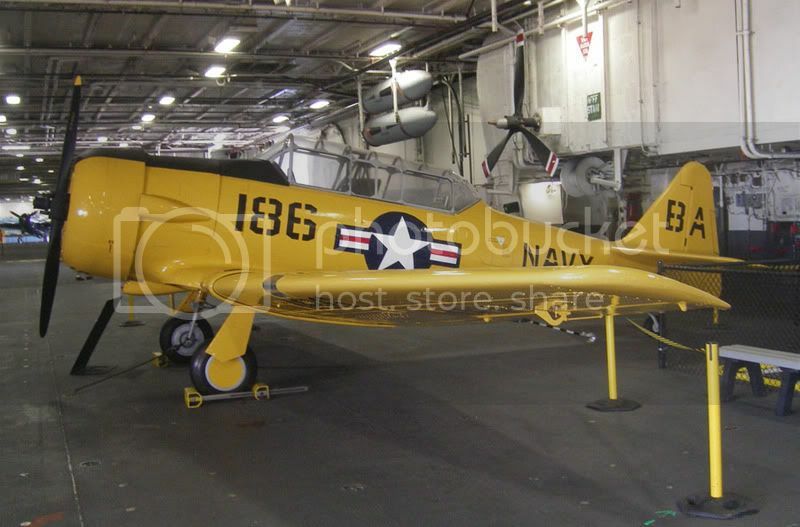 This aircraft was one of the last Gannets to see service with the Fleet Air Arm and then relocated to the United States after retirement. While in the U.S. the aircraft was used for propeller noise trials. After the trials were completed the Gannet was placed on display at the New England Air Museum. 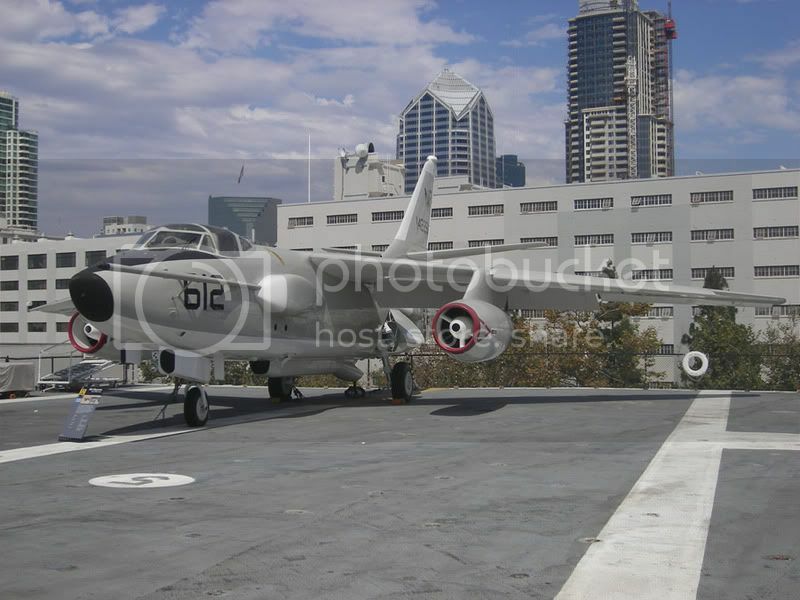 After quite a few years with NEAM the Gannet was traded to the Pima Air Museum where it now resides under the Arizona sun. 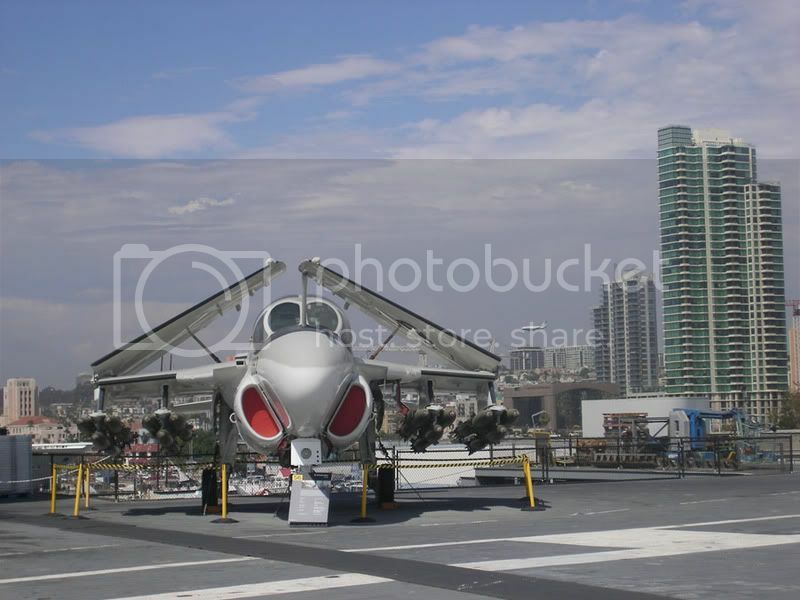 Since the photos were taken the large under fuselage radome was added to the aircraft. 1. What is 1/72 scale? 2. 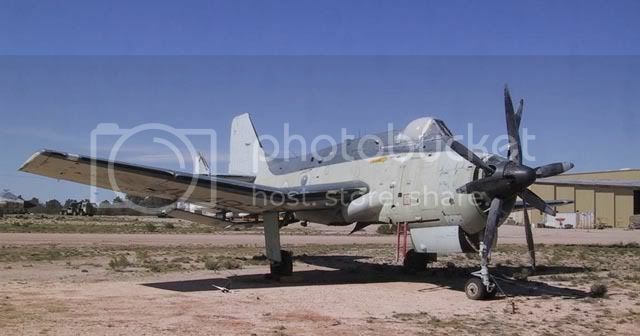 What is a Fairey Gannet? 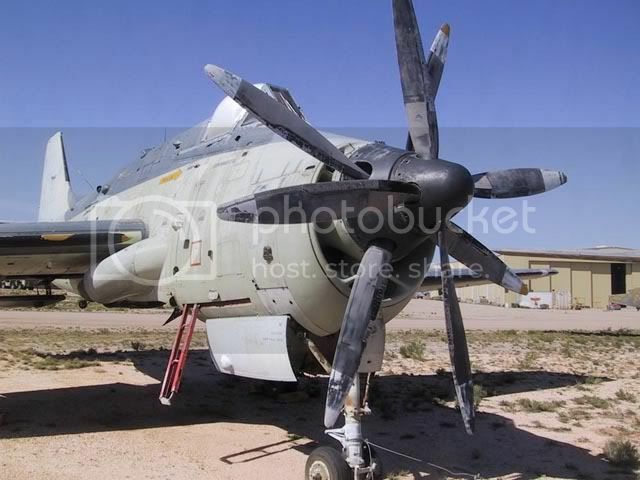 Well I can assure you that even though the Fairey Gannet looks like somebodies idea of an aeronautical joke it is indeed very real. And yes Mark Smith, 1/72 scale is not dead. Those of us with a more Commonwealth bent were excited by the announcement of a Gannet as Trumpeter had recently released a stunning Wyvern that may be one of the best 1/72 scale kits ever. Not to mention the only previous Gannet in the scale was a Frog example from the 1950s. It contained about 7 pieces and featured quicksand pilots on flat surfaces and no wheel wells. Frog were kind enough to include landing gear and a clear canopy, so I guess we should have been somewhat thankful. Test shots of the new kit soon surfaced on the net and it looked like the hopes of a Gannet to Wyvern standards were dashed. The kit appeared to be nice, but not stunning. Who needs bomb bay detail and folding wing options anyway? (Well I’d have liked the option...but heck what do I know?) Plus a few Germans could be heard chanting “Wait till 2007. Revell AG will answer your Gannet prayers. Wait till 2007!”I’ve never really understood German and Revell AG said nothing about a Gannet so we all wondered what the Germans were so excited about. I’m glad that we have a newer Gannet kit, but I wouldn’t call it state of the art... I just wish that the good Trumpeter tool guy made this kit, not the less interested in his work guy. Not to mention with a price over $20 for a 1/72 prop, I expected more. 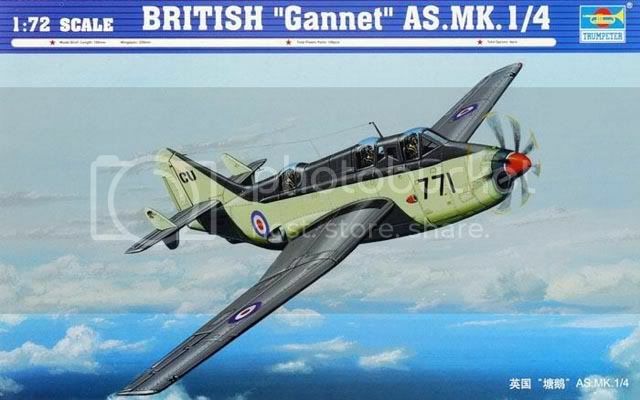 Since the kit wasreleased Revell AG have indeed announced a new Gannet for release in 2007 or 2008, so my suggestion is that you may want to wait a little while. Revell AG do excellent work and it wouldn’t be hard for them to trump the Trumpeter kit and offer their version at a much better price with more detail and better moldings. To answer David Knight's question on Monday's Part 1 post, all of the photos are from the DND Photo Archives. Here is another colour shot of Hurricane XII RCAF # 5625 operated by 13 (Photo) Squ. RCAF. Over the last few years I've been collecting RCAF Hurricane photos and information to publish an article regarding misconceptions about the RCAF Hawker Hurricane fleet. I've acquired some neat photos, some never before published, so I thought I would publish some of that information here. 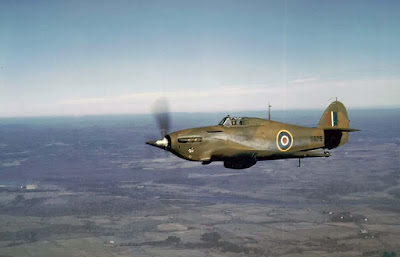 The first Hurricanes operated by the RCAF were fabric wing, two blade prop British built Mk. Is. They were carried RCAF serials 310 to 329. 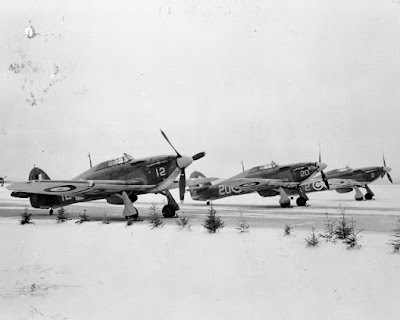 Canadian Car and Foundry were soon contracted to provide Hurricanes both for the RCAF and RAF. 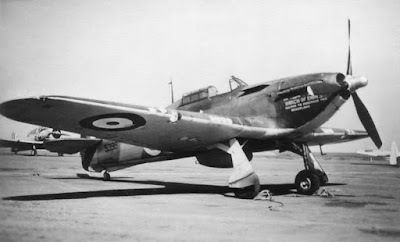 A British build Hurricane Mk. I (L1848) was provided to CC&F as a pattern aircraft for production. 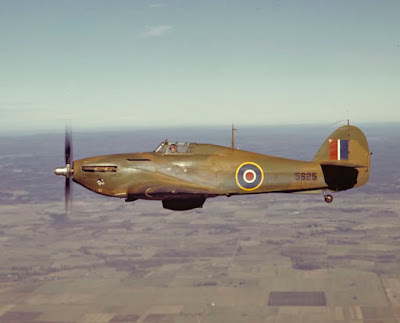 The first Hurricanes produced for the RCAF by CC&F were Hurricane Xs. These were basically Canadian built Hurricane Mk. Is with cut down Battle props without spinners, eight gun wings, and no glare shields. They carried RCAF serials 1351 to 1380. The RCAF also received Sea Hurricanes. 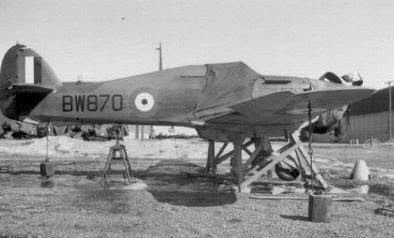 Yes, the RCAF got some Sea Hurricanes complete with hooks. They were built by CC&F for the FAA but were diverted to Canada. They were in the BW835 to BW884 serial range. The RCAF Sea Hurricanes were basically a Hurricane Mark I with a hook, a DH spinner with a cut down Battle prop, and an eight gun wing. Early in service they carried the Fleet Air Arm scheme of Extra Dark Sea Grey/Dark Slate Grey over Sky. (A common misconception here is that they didn't have hooks. I can't confirm if they all had hooks or some did and some didn't but this one sure did.) This one is BW850 BV-T of 126 (F) Squ. RCAF. 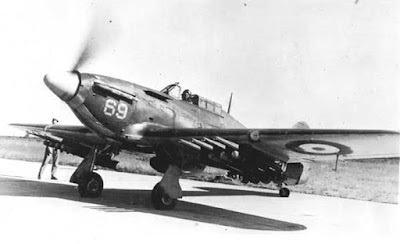 I think what has tripped up many Hurricane researchers is that the RCAF Hurricane Xs and Sea Hurricanes were sent back to CC&F for conversion to Hurricane XII standard, though they retainted the eight gun wing. 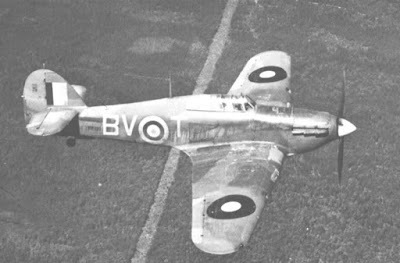 Here is one of the Sea Hurricanes, BW870, after conversion into a Hurricane XIIa. The conversion included a Hamilton Standard prop (sometimes with a spinner, sometimes without), a Packard built Merlin along with the longer Mark II nose, and glare shields. I think BW870 belonged to Trenton Station Flight. Notice there is no yellow ring in the fuselage roundel. Next up are two aircraft in the standard RCAF Hurricane XII configuration. Hamilton Standard propeller without spinner, glare shields, and twelve gun wing. Those these airplanes were build as XIIs by CCF. The new build XIIs were RCAF serial 5376 to 5775. RCAF # 5625 operated by 13 (Photo) Squ. RCAF. This aircraft has a unique camouflage pattern carried only by 13 Squ. Spitfires and Hurricanes. All of these aircraft are 1 (RCAF) OTU birds in XII configuration. All carry spinners and buzz numbers. Notice the spinners are the unique "Canadian" spinner over the Hamilton Standard prop. Sadly, I don't have serials for all of these planes, but notice that the first plane in the group photo has a tropical filter. It appears that this is a German film starring British actor Joesph Fiennes as Canadian Roy Brown. It also appears it is set for release in 2008. Hopefully it is better then Flyboys. On October 4, 1957, Avro Canada rolled out the Arrow prototype to the shock and awe of VIPs, politicians, media and plant staff. While the first flight of the Arrow in March 1958 probably was the high point of Canadian aviation history, the roll out was a big step in the right direction. Canada was near the top of heap in aviation technology. Sadly, that didn't last and with the cancellation of the Arrow on "Black Friday" (February 20, 1959) the Canadian aviation industry was dealt a blow it has never recovered from. While Canadair and DeHavilland would design and build some nice civil aircraft over the years, never would a Canadian aviation maker scale the heights of a high performance military fighter. While, the Arrow has become an icon in Canada, especially among aviation fans, it is little remembered to the rest of the world. Sputnik will never be forgotten worldwide for igniting the space race and freezing the cold war just a little bit. World War One aviation has suffered poorly at the hands of Hollywood. The Blue Max was ok, but was made at a time when flying World War One aircraft, or replicas were at a premium. Therefore post war types were used including modified Tiger Moth’s and most famously a Morane-Saulnier MS 230. Since the late 1960 popularity of World War One aircraft has skyrocketed and more and more aircraft are being restored or recreated. It was certainly the right time to make a great World War One aviation film. Flyboys was hyped as that movie. Wow, was the hype wrong. A cliched love story, Nieuports and Fokkers that fly like Pitts Specials and sound like Harvards, and too much CGI. What a missed opportunity and just another bad aviation film. There is some hope on the horizon however. But don’t get too excited. Crossing the Line is only a short film done by Jackson to test out new cameras. Mr. Jackson has stated he would like to do a WW1 film and there are rumors that Crossing The Line is a short draft for a future World War One film by Jackson. So don’t give up hope...yet... But first Jackson has to play with Lancasters and remake Dambusters. The Academy 1/72 P-40B really doesn't look like a Tomahawk. The shape it pretty poor, the canopy is terrible, and it is lacking detail. So what to do with it? How about a quick build to try out Alclad2? I started this build a couple of weeks ago in order to spray Alclad2 while Heather was out of town for the week. It is out of the box, though I did replace the couch in the cockpit with an Aeroclub white metal seat. I also made a plasticard headrest. The kit was primed with Tamiya spray can black, sanded out, and then Alclad2 Polished Aluminum was used. Looks pretty shiney. I’m pretty happy with the finish, though I wish I hadn’t put the primer on so thick. 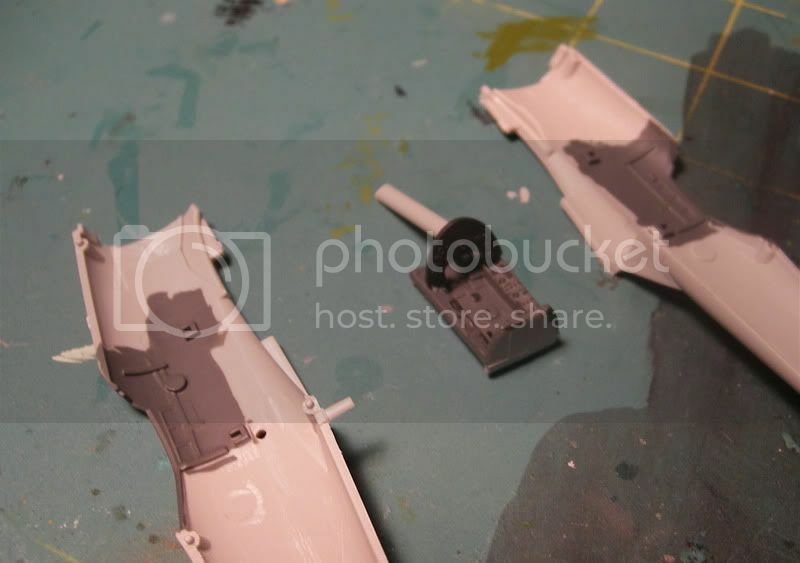 A few in progress shots of the new Trumpeter Sea Fury. The major cockpit colour is black so I used Testors Acryl RLM66 for scale effect. I even worked in a little drybrushing. The instrument panels is painted Testors Acryl Interior Black. 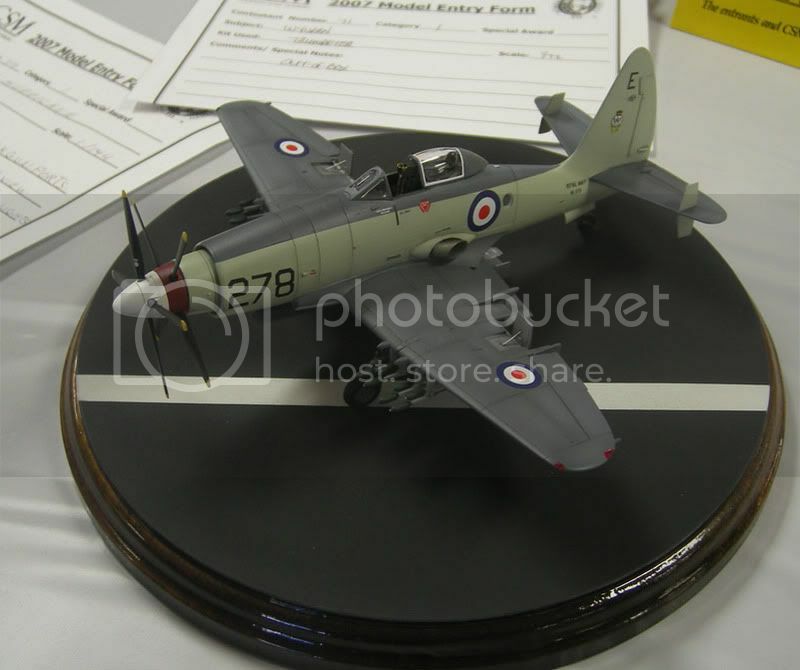 The Sea Fury is my all time favorite aircraft and I've long wanted a kit I could actually finish and be happy with. I built a PM kit when it was released in the 80s and even as a younger modeler I was less then impressed with it. The High Planes kit looked difficult and for some reason the Special Hobby never made it to the bench. I was excited when Trumpeter announced a new 1/72 Sea Fury, but my excitement was tempered by their lackluster Fairey Gannet. I kept wondering if Trumpeter would equal their stunning Wyvern and make the Sea Fury kit of my dreams? 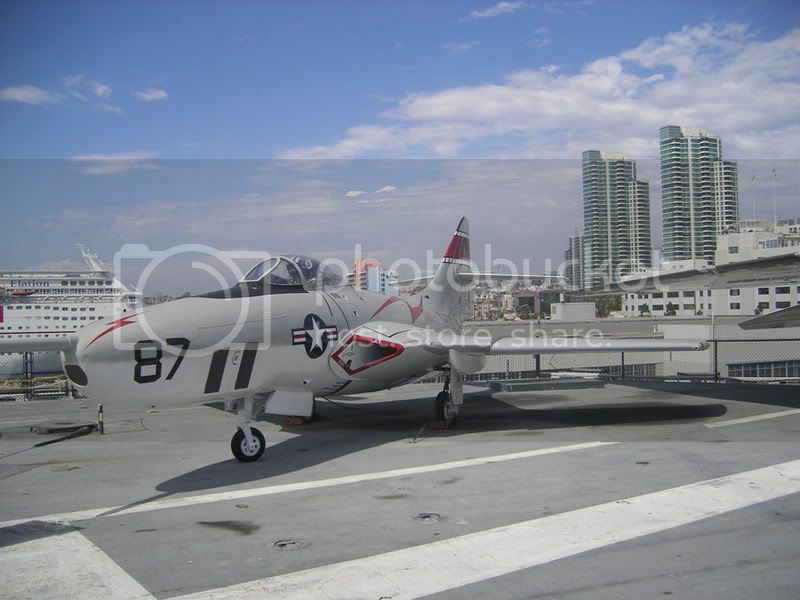 Is this the Sea Fury of my dreams? Well yes and no. It is nice. 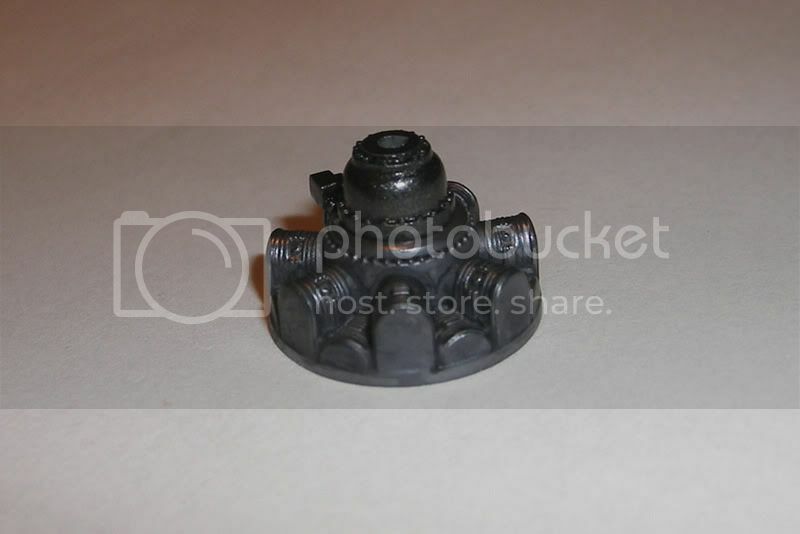 The parts are molded in the typical Trumpeter grey plastic. The molding is ok, there is a little flash, and the usual mold lines to be removed. The exterior surface detail is very very nice. Crisp finely engraved panel lines and no rivets. A quick test fit shows that overall the fit will be ok, but some filler will be required. The separate folding wings are a nice option, but they always leave me worried they will not fit well in the extended position. Looks like that is the case here. Cockpit detail is better then the Gannet, but not up to the standard of the Wyvern. The wheel wells have some nice detail, but as usual with Trumpeter kits, are marred by ejector pins. The landing gear doors suffer the same malady. The clear parts are thin and clear, but with a mold line right down the center that will need to be removed. Some lame rockets, and nice tanks are the underwing stores. The decal options...are surprise, surprise...the 802 Squadron "Mig Killer" from Korea...blah...and a bird from 1831 Squadron with ST tail codes and a yellow and red fuselage band. Both options are in Extra Dark Sea Grey over Sky. No Canadian option is offered, but you RCN fans need to keep your eyes on Mike Grant's site for a new sheet with quite a few Canadian options. Some have stated that the prop appears a little anemic and that the landing gear may sit a little to low, or two high, depending on who you listen to. I'll reserve judgment until I finish my model. Overall, the Trumpeter kit is nice, but I expected better for the price. (Retail is an almost shocking $25.00!) Maybe my expectations were too high, but I think the Academy Typhoon is a better kit then the Trumpeter Sea Fury at half the price. Sadly the Academy Typhoon is a Typhoon and not a Sea Fury.